The crystal Egg is mouth-blown and hand-engraved with images of the nine major palaces of St Petersburg. Alongside each palace appears the profile of the Tsar or Tsarina with whom it is most associated. Atop the Egg stands the triple-headed eagle in token of the finial on Peterhof Palace. 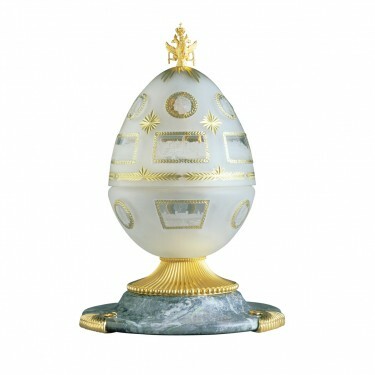 The fluted gold and silver base is set on a hand-sculpted foot of the rare marble 'serpentino fantastico' to match the frontage of Carl Fabergé's St Petersburg emporium. 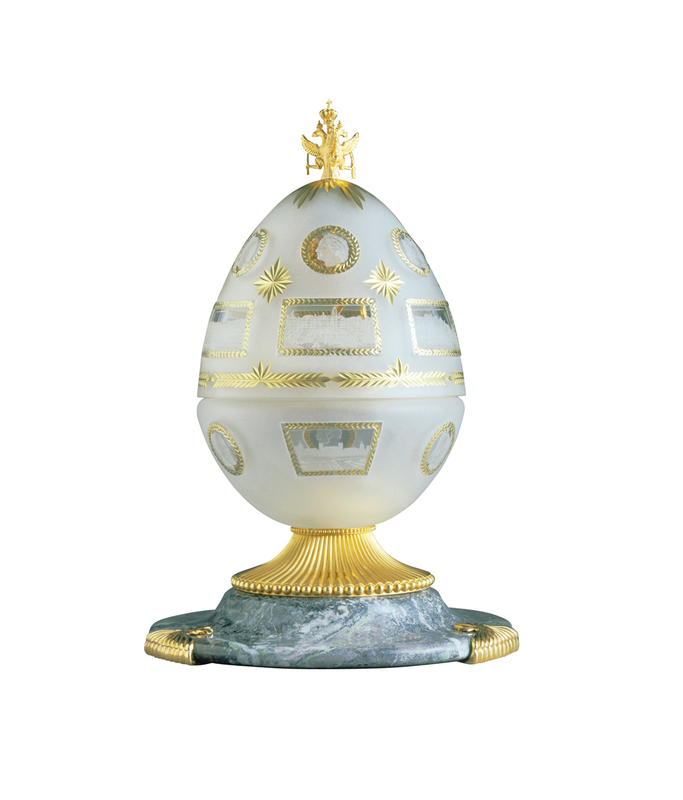 Open the Egg to reveal the surprise; Peter the Great, founder of St Petersburg, modelled astride his magnificent horse and set on a guilloché base.